In this article, it will introduce 3 tools to remove PDF password. In fact, the 3 tools are three different versions of PDF Password Cracker. PDF Password Cracker is a powerful utility that can crack PDF password. The three versions are PDF Password Cracker Standard (Std), PDF Password Cracker Professional (Pro) and PDF Password Cracker Enterprise (Ent). Now let’s see it one by one. PDF Password Cracker Standard (Std) is able to remove basic restrictions on PDF documents. Compared with the other two, its functions are limited. It can be used to decrypt owner password protected PDF files. After the decryption, you can feel free to edit, copy and print the PDF files. a. It supports to search for owner password and user password with brute-force and dictionary attacks. b. It adds “Key search attack” function that guarantees the decryption of PDF files using 40-bit encryption. All the 3 PDF Password Cracker tools can remove PDF password and decrypt PDF files if open password is known.And they all support All version of PDF files, 40-bit RC4 encryption, 128-bit RC4 encryption and AES encryption. All the three tools are extremely easy to use. All you need to do is to add the password protected PDF files and a few clicks, then the software will crack PDF password automatically. If you want to know more about how to use PDF Password Cracker Standard (Std), PDF Password Cracker Professional (Pro) or PDF Password Cracker Enterprise (Ent) to remove PDF password, please email us via support@crackpdf.com or directly post a comment below, we will reply you as soon as possible. If you have any good suggestions, you can also state it below or contact us via the above email. Wanna remove PDF password in an easy way? PDF Password Cracker Pro is a professional PDF password remover that can easily crack password of PDF documents. In terms of PDF, there are two kinds of passwords. One is owner password and the other is user password. Owner password is used to prevent PDF files from printing, editing, selecting and copying text and graphics into Clipboard, or adding annotations and form fields. User password is used to lock the file to prevent others opening or viewing the PDF files. Why choose PDF Password Cracker Pro to remove PDF password? Support Windows 98, ME, NT, 2000, XP, 2003, Vista operating systems. Instantly decrypt PDF files with owner password. Recover user password using Brute-Force or Dictionary attack. Support non-English characters in passwords. Support PDF files with 40-bit RC4 decryption, 128-bit RC4 decryption, AES decryption, compressed files and un-encrypted meta data. Support “Key Search” attack that allows to decrypt PDF files with 40-bit security regardless the password length. Tutorial: How to use it to remove PDF passwords? Firstly, download PDF Password Cracker Pro and install it. Secondly, click Load button to locate the protected PDF file, then click Open button. Thirdly, click Decrypt button or Start button, then PDF Password Cracker Pro will test the passwords automatically. Once PDF Password Cracker Pro retrieved the user password, a “Save As” dialog window will pop up, you may save the decrypted PDF files as normal PDF files directly. That’s it! So easy, right？As you can see, the process to remove password from PDF files is very simple. So why are you hesitating? Go for this method to crack PDF password NOW! If you want to know more about how to remove PDF password with PDF Password Cracker Pro, or if you have any questions or suggestions, you can post your doubts or opinions below or send them to support@crackpdf.com. Cannot modify, copy, or print your PDF document because the PDF files are protected by password and you cannot remember it? What will you do? In this article, it will show you an easy way to crack PDF password. 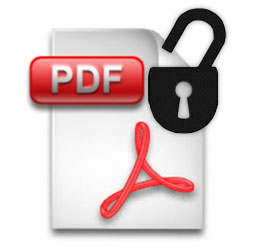 If you cannot edit, copy or print PDF files, the the PDF may be protected by owner password. The so-called owner password are password used to protect the PDF files from editing, printing, selecting text and graphics and copying them into the Clipboard, or adding annotations and form fields, etc. To crack PDF password, you need a small tool－PDF Password Cracker. PDF Password Cracker is a powerful application that can can be used to decrypt owner-password-protected PDF documents automatically. 1. Add the owner-password-protected PDF files singly or in batches with opened GUI interface of PDF Password Cracker. Or directly drag PDF files from one folder and drop PDF files into it. 2. Enter a name for the new PDF file. NOTE: You cannot use the original name of the PDF file, you must change it. 4. It will display with the status of the password removal. It should say "Succeed", Right-click on the entry, the you can view the document. View Source Document: View the original PDF document. View Target Document: View the decrypted PDF document. Delete “ERROR” Items: Delete the PDF files that are not encrypted. Delete “SUCCED”Items: Delete the PDF files of which password have been successfully removed. Delete Selected Items: Delete selected items from the list. Delete All Items: Delete all items from the list. 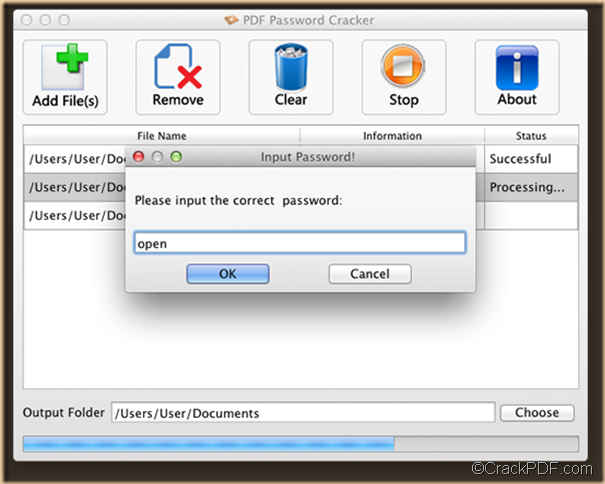 Here is the end of this article about using PDF Password Cracker to ccrack PDF password. And for your concerns about this application and this article, please contact support@crackpdf.com or add your comments here. It happen a lot that security passwords of the PDF documents are lost, forgotten, etc… It may be a time-consuming and exhausting task to create PDF documents on Mac all over again. The easiest solution is to look for a PDF password recovery tool for Mac. Of course, thousands of results will pop up the moment you enter the query “PDF password recovery” in the Google search box. However, most of them are just for Windows OS and cannot be used on Mac OS X. It was time-wasting to look for a PDF password recovery tool by trial and error. To save your time, in this article, we’re going to introduce a PDF Password Cracker for Mac OS X you might need. Owner Password (also named master password) is the password set by the creator to protect the PDF documents from editing,copying and printing. If the PDF files are protected by owner password, CrackPDF PDF Password Cracker for Mac can automatically remove the PDF permission password and corresponding permission restrictions without asking you to type the password. Open Password (also called user password) is the password set by the creator to protect the PDF documents from opening or viewing. If the PDF file is protected by open password, Mac users need to input the open password to unlock the PDF file manually. Only in three steps, CrackPDF PDF Password Cracker for Mac will crack the PDF password successfully. Step 1: Download and install CrackPDF PDF Password Cracker for Mac.You will see it in the Applications folder of your Mac OS X computer. Step 2: Drag and drop PDF documents into the software.If the PDF is protected by owner password, it will remove the passwords automatically. If the PDF is secured by open password, you need to key in the right password. Step 3:Choose an output folder for the unlocked PDF documents. Sounds great, right? Then what are you waiting for? Have a try by yourself now! For details about this PDF password recovery tool for Mac, please contact support@crackpdf.com. Forgot Microsoft Access password? Need to unlock a Microsoft Access MDB file protected with a password set by one of your employee who left your company? Is there a way to recover or crack the Access database password? Microsoft Access is a widely used database application that stores user’s data such as tables, stored procedures, links, hyperlinks and indexes in Access database or MDB files. For security reasons, most companies or organizations would like to set passwords for its Access database to prevent unauthorized personnel from obtaining confidential data. Unfortunately, often people may forget the Access password, making Access database inaccessible. Fortunately, we can use Access Password Recovery to recover or crack the password. 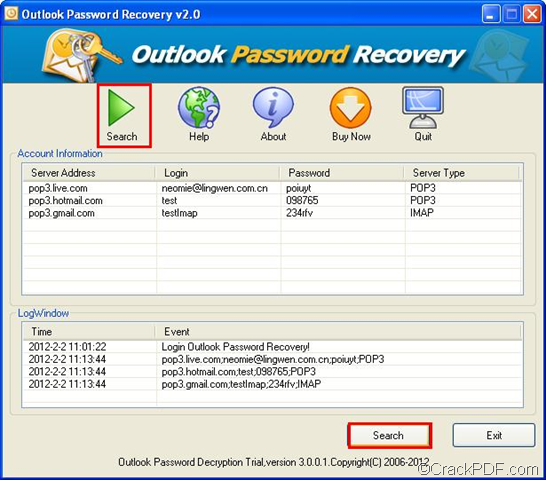 Access Password Recovery does exactly just like its name says – recovers forgotten passwords for protected Microsoft Access database files. By using advanced algorithm, it ensures fast unlocking of the password protected Access database files. Access Password Recovery offers efficient recovery options( attack options): Brute-force Mask Attack (Trying All Possible Combinations), Brute-force Mask Attack and Dictionary Attack(Recommended). They are suitable for different situations. Dictionary Attack (Recommended) – This choice is highly recommended as it offers a smarter access to recover the Access password. If you choose this option, Access Password Recovery will try various possible password combinations of words and phrases in the built-in dictionary offered by the application as a Access password. Of course, you can also add self-created dictionary into the application. Brute-force Mask Attack -If you remember a little bit of the lost password such as the length of the password, a letter, a special punctuation, etc, it is recommended that you try this attack as it can effectively shorten the recovery time. Access Password Recovery will try the possible combinations from the masks self-defined by users such as digits, letters or punctuations. Brute-force Mask Attack (Trying All Possible Combinations) – If you remember nothing about the password, you may need to check this choice.If you choose this option, Access Password Recovery will try all possible characters combinations in the specified range. Since the password recovery engine is highly optimized,short passwords can be recovered instantly. With the help of this Access password recovery utility, you can get back the password of your Access database file as soon as possible . For more information about Access Password Recovery or how to use it, please directly leave your comments here or contact support@crackpdf.com. Is your Excel file protected by password and could not be open normally because you have forgotten the original Excel password? Or has an employee left your office and he forgot to unlock an Excel file with a password set on it? Don’t WORRY any more! 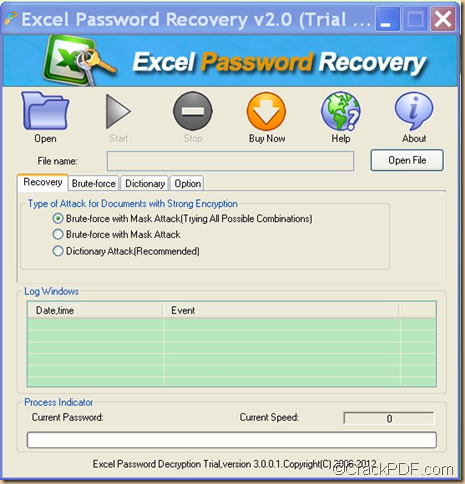 CrackPDF Excel Password Recovery offers the solution to recover lost or forgotten passwords for Excel. 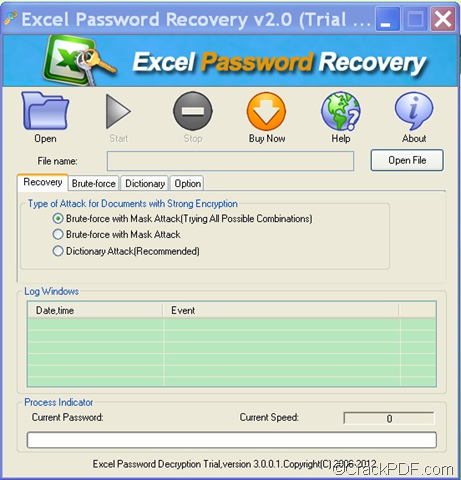 CrackPDF Excel Password Recovery is a handy utility that can help you recover Excel password and reopen your locked Excel file. No matter how long and complicated the password is, and no matter how much you can still remember about the lost Excel password, with the help of CrackPDF Excel Password Recovery, you can recover password for Excel files created by any version of Microsoft Office Excel 1997-2010. For Excel files containing confidential data, sometimes we may set a password to prevent it from unauthorized modification or illegal Excel password recovery. Losing those important Excel worksheets containing working table or research data may suspend the projects. It is a commonplace situation that lots of people may face everyday. It must be very annoying if we can’t retrieve it on time. This, however, could be avoided now by trying CrackPDF Excel Password Recovery. It is able to crack or recover the forgotten passwords, and unlock password-encrypted Microsoft Excel documents. Step 2: Import the encrypted Excel file by simply clicking Open button . Step 3: Select a suitable attack type and setting. Dictionary Attack—try each single word or word combinations in a built-in dictionary. Brute-force with Mask Attack—is useful when you remember a little bit about the forgotten Excel password. Brute-force with Mask Attack (Trying All Combinations)—is used when you remember nothing about the password. 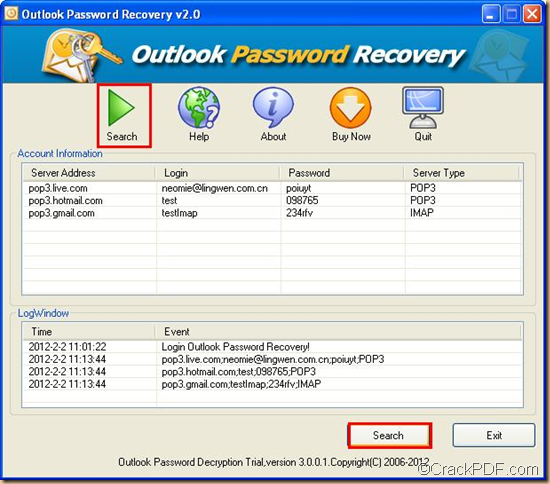 If you are really forgetful, you can choose to use CrackPDF Excel Password Recovery. For details, please send your email to support@crackpdf.com. Have same plague with Jessica?Don’t worry! RAR Password Recovery is a good assistant for you to quickly remove the password from WinRAR or RAR archives. 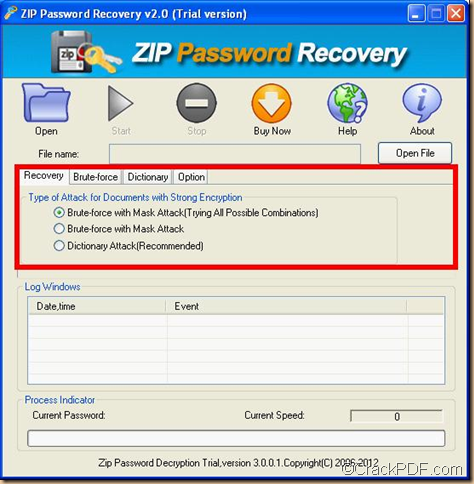 The ways to recover WinRAR or RAR password are different according to different file sources.In the following, I would like to share an efficient way to remove WinRAR/RAR password with RAR Password Recovery by 3 kinds of attacks: Dictionary Attack (Recommended), Brute Force Attack with Mask Attack and Brute Force Attack with Mask Attack (Trying All Combinations). For the encrypted WinRAR/RAR files downloaded or received from internet, generally speaking, we could find the password in its read-me text or the download page. If we cannot find any password information, we’d better have the psychological expectation that RAR password recovery will not be completed. The only thing we can do is to remove the password. Since we know nothing about the password, RAR Password Recovery offers us Brute Force Attack with Mask Attack (Trying All Combinations). It will attempt to recover the password by trying all possible passwords combinations of numbers, letters and punctuations. For the encrypted WinRAR/RAR files protected by ourselves, there are two options we can choose to recover the password with RAR Password Recovery. The 1st option is Dictionary Attack. It can remove the forgotten password with ease by trying the most likely password combinations of words and phrases in the built-in dictionary as a password. We can also list all the characters such as our name, nickname, favorite star, birthday, boyfriend or girlfriend name, etc to create a self-created dictionary. The 2nd option is Brute Force Attack with Mask Attack. If we still have a bit memory about the forgotten password such as the prefix characters, suffix characters, length of password, special characters, etc., Brute Force Attack with Mask Attack may be most suitable to solve the RAR password recovery troubles. With this easy-to-use RAR password recovery tool, we can remove WinRAR/RAR password easily without any data lose! For more details about RAR Password Recovery, please contact support@crackpdf.com. Unable to open Zip files because of forgetting the password? With the innovative Crack PDF ZIP Password Recovery, you can easily recover forgotten or lost passwords for your ZIP/WinZIP/PKZIP archives. It supports three password recovery modes:brute-force with master attack(trying all combinations), brute-force with master attack (user defined) and dictionary-based attack. If you’re blank about the lost password, you can use Brute-force with Master Attack(Trying All Combinations) option.It will run through all the possible password combinations of keys until the correct key is found.Crack PDF ZIP Password Recovery has a highly optimized password recovery engine, which can quickly recover short and simple passwords. If you remember a part of the password or some information like symbols, characters or length of the lost password, you can try this method. You can set a mask with the mask symbols for those parts you can’t remember, which will help you effectively shorten the recovery time. Generally speaking, passwords are made up of a single word or a combination of words from a certain language. Before reverting to the brute force attack, Crack PDF ZIP Password Recovery performs a full-scaled comprehensive attack based on a dictionary. It can try every password combination in the built-in dictionary as your forgotten ZIP password. You can also add your self-created dictionary containing your usually used passwords such as your birthday, the name of your pet, your favorite color, etc.We highly recommend this attack as it offers a smarter access to the password recovery. 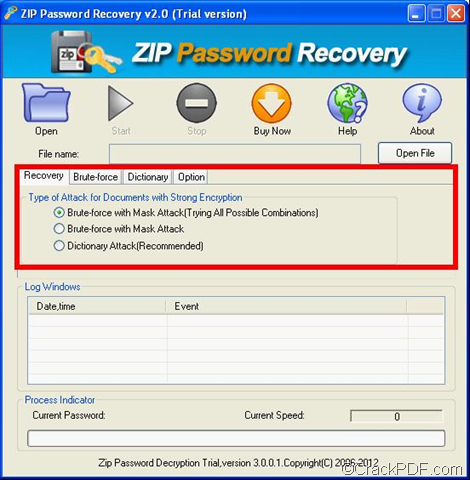 How to recover forgotten ZIP password? Click Open to add the ZIP files. Select an appropriate recovery mode. That’s it!With the help of Crack PDF ZIP Password Recovery, you can easily get access to your password protected ZIP files again. If you have any problem or inquiries about this ZIP password recovery tool, do not hesitate to contact us.We really appreciate your comments. Also you can send your email to support@crackpdf.com, and we’ll get back to you as soon as possible.